Determining whether or not your Internet marketing campaign is working for you is a very important part of the advertising process. This is so important because while there is a great deal of Internet marketing which can be done without a great deal of expense, other types of Internet marketing do have financial costs associated with them. Also, in both cases, there is a time and energy burden to orchestrating Internet marketing. For all of these reasons, it is important for business owners to continuously evaluate their marketing techniques and strategies to determine what is working and what is not. This will help the business owner to focus his efforts on marketing strategies which are providing positive results as opposed to those which are either not providing results or are only providing lacklustre results. This article will examine a few different marketing strategies as well as how business owners can evaluate the effectiveness of these strategies. Affiliate marketing is certainly one of the most cost-effective Internet marketing strategies available. This marketing strategy involves having other website owners known as affiliates post an advertisement on their websites to direct Internet traffic to your website. This marketing strategy is cost-effective because in most cases the affiliate is only paid when he produces a desired result such as enticing an Internet user to click through the advertisement or to purchase a product or service once they click through the ad. While the business owner is only paying for the advertisement when it produces the desired effect, it is still worthwhile to evaluate the effectiveness of these ads to determine whether or not they are working well. Fortunately, affiliate marketing ads have a natural feedback mechanism which makes it easy to evaluate how well the ad is working. This feedback is provided in the form of code embedded in the advertisement which specifies which affiliate generated the website visitors. This information is provided for the purposes of issuing payment to the affiliate but it can also provide the business owner with useful information on which affiliate ads are the most effective. This information is especially useful when the affiliates are posting different ads. The business owner may conclude the ads posted by the more successful affiliates are more appealing to potential customers and may opt to use this style of ad for all of their affiliates. 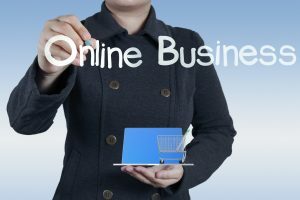 Business owners who use Internet marketing strategies such as posting on message boards to promote their business might want to consider asking customers to complete a short survey when making a purchase. This survey can include useful demographic information which is always helpful for marketing as well as information regarding where the customer learned of the products or services you offer. Including the message board, web address as one of the responses will give you a good indication of whether or not the message boards are helping to drive customers to your website. You may also have some unofficial feedback in terms of the response to your postings on the message board. If the general consensus is in support of your posts, you may infer you are generating some interest in your business or website through this tactic. Finally, an Internet marketing strategy can be evaluated by studying website traffic results as well as sales receipts. Anytime you implement a new Internet marketing strategy or technique it is worthwhile to study your website traffic reports and sales receipts carefully to determine whether or not there is a spike in either traffic or sales immediately after the marketing effort. For example, if you send out an e-newsletter to those who have requested additional information about your products or services, you may notice there is an increase in traffic or sales soon afterwards. This is a good indication the e-newsletter was well received and effective. However, if there is not a marked increase in traffic or sales subsequent to the e-newsletter it indicates the marketing effort was not effective.